We now continue with our coverage of the coming of John Byrne to the Post-Crisis Superman titles. We rejoin SM’s October 15, 1985 post, "John Byrne/DC Rumor" with John Byrne’s Man of Steel plan. Byrne’s "first six issues" is indeed the 1986 mini-series The Man of Steel, wherein Superman gets himself a brand-new origin story. One of the most interesting changes made, for me personally, was the introduction of the birthing-matrix concept. This adds a new wrinkle to Superman, as technically under this new origin, he was born on Earth. Byrne truly wanted to make Clark the “Last Son of Krypton”, making him special. 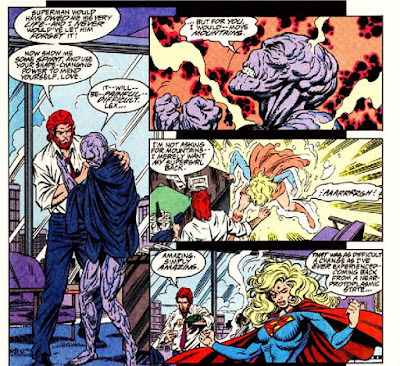 As SM offers above, with all the Kryptonians running around, there are times in which it seems like Jor-El and Lara may have been the only casualties of the Fall of Krypton. 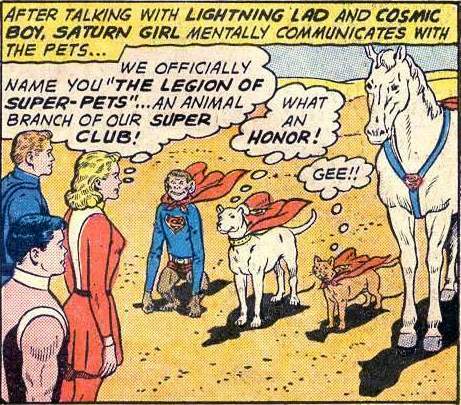 The Super-Pets are one of the odder silver-age concepts that, outside of Krypto, I never really dug. The exclusion of Superboy caused a bit of contention among fandom. The Pre-Crisis Superboy was in actuality Clark Kent, hence the tagline "The Adventures of Superman When he was a Boy". John Byrne took issue with these stories, because the outcome was never in question. A reader knows that Superboy will never die... because he will ultimately grow up to become Superman. Byrne actually coined the term "Superboy story" to refer to any flashback-y stories wherein the reader already knows the end-result. 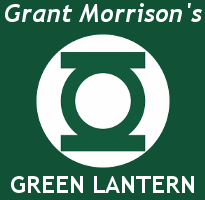 This also affected the Legion of Superheroes origin story, as they initially assembled in tribute to Superboy. No Superboy = No Legion, at least in theory. I’ll let it lay there, as we’ll likely visit the new Legion of Superheroes origin story in a future installment. Supergirl, as she was known, did not reappear in the DC Universe until Superman/Batman #8 in May, 2004. Toward the end of John Byrne’s run, he would introduce "a" Supergirl, however, she was not a Kryptonian, instead she was a shape-shifting protoplasmic creature. 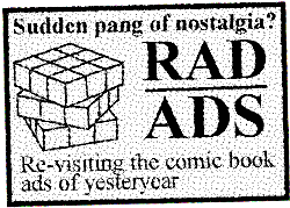 Also toward the end of the Byrne run, the Phantom Zone was introduced. In fact, one of the more memorable Superman stories of the era concerned a group of Phantom Zone criminals. As for Byrne sticking around on his Marvel titles, that was short-lived. Per the Byrne Robotics FAQ, John and Marvel Editor-in-Chief, Jim Shooter, had an already rocky relationship... his taking on a non-Marvel book, as John says himself "was just one more nail in the coffin". Several stories that had already been approved were suddenly redrawn and rewritten following the announcement that Byrne would be directing the Superman ship. A pity, really. John Byrne’s Fantastic Four was more often than not a very fun read. I wasn’t totally onboard for his vision of the Incredible Hulk, however. If one good thing came out of this, it led us to the amazing Peter David run on the character. Marvel’s loss was DC’s gain as it wouldn’t be long before John was working on all three of the main Super titles: Superman, Adventures of Superman, and Action Comics (which was something of a Superman Team-Up book at the time). That’s all for SM, and this entry. Next time we will look at the some of the discussion prompted by SM’s post. As I mentioned in our last article... I know some corners of the interwebs have amazingly knowledgeable and passionate Superman fans, so if you have any additions or corrections, please feel free to contact me in care of this website. Thank you for reading. Concise and well-researched. Great article!